GONE TO GROUND introduces Detective Inspector Will Grayson and Detective Sergeant Helen Walker and is based in Cambridge as well as the Nottingham area. An academic, Stephen Bryan, has been violently killed in his apartment. His gay lover is suspected but as the case unravels a businessman comes under suspicion. The businessman had previously warned Stephen off from researching his family, which includes a 1950s film star, the great aunt to his daughter Natalie, who is herself embarking on a wild film career. Stephen's sister Lesley, recently returned from a 12-month career break travelling in New Zealand, feels that the police are too slow to try and solve her brother's death. She decides to confront this businessman - Howard Prince. Why does he keep his wife shut away in their Fen home, away from public view? What is the truth behind his business dealings and suspicion of corruption and intimidation? There are also many rumours that surround the life of 1950s film star Stella Leonard, who met a tragic end. With the investigation slowly progressing Helen Walker is seriously injured coming to the aid of two men being attacked by a gang of youths. Will Grayson struggling with marriage problems now has to try and resolve the case without the help of his deputy. Lesley meanwhile is feeling threatened as her own investigation into Howard Prince progresses. This is a film within a book! An engrossing read from a master craftsman. Linking the 1950s with the present day and showing two film stars, Natalie and her great aunt, on a journey of discovery! Having already written two successful series, Mr Harvey has now added what I hope is another equally successful new series. Believable characters and situations, his poetic background is also evident in this book, with detailed descriptions of countryside and changing weather conditions. 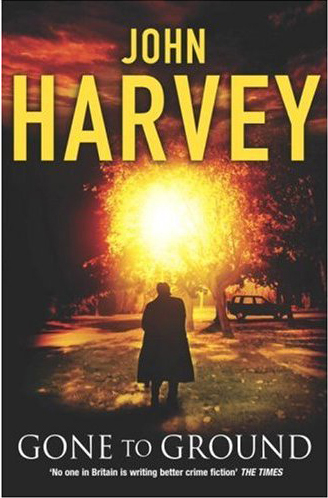 I enjoyed this book very much, but this is no surprise because John Harvey never writes a dull page.